All seniors are invited to come by! Wear your school gear and celebrate each other's college commitment, while enjoying a grilled lunch. Our treat! Find out what Minnesota private colleges and universities have to offer! Come on your own or with your parents. These introductory campus tours and informational meetings can serve as a first step to help you discover just what you’re looking for in a college — especially if you are early in your search. Sessions are held twice daily, from 9:30 to noon and 2 p.m. to 4:30 p.m., on our 17 campuses across the state. 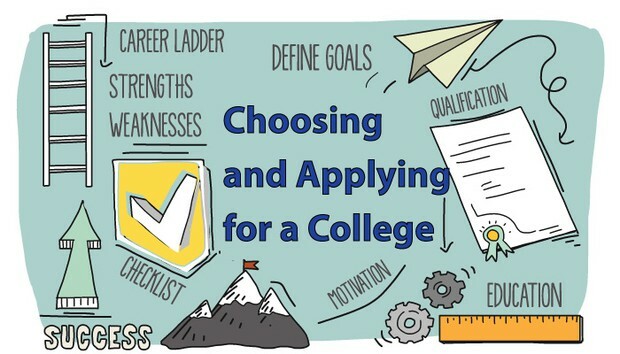 Minnesota Private College Week: Just starting your college search? Cost: $150 - Checks can be made out to Minnehaha Academy. Bring to Diane Rahm, Registrar, in the Student Services Office. Registration: Space is limited. Students must register through the Google Form: https://goo.gl/forms/zCgAdsVBAV36CaQr2 and pay the registration fee by Friday, May 19 to save their spot. After May 19, students will only be admitted on a space available basis. More information will be sent closer to the event. If there are any questions, please contact your student's counselor. We had a great three weeks learning about stress, its impact on the body, and its potential benefits. We learned how to breathe, visualize and relax (some to the point of sleeping). We learned how our negative thinking has a direct impact on our emotions and behaviors. We learned how to dispute irrational and negative thinking patterns and replace them positive, truthful thoughts. We talked about what to do when we are stressed, and what not to do. We asked questions, had important conversation, and students had great examples of stressors in their lives that they are facing. We hope the participants left with new information, but more importantly new skills. 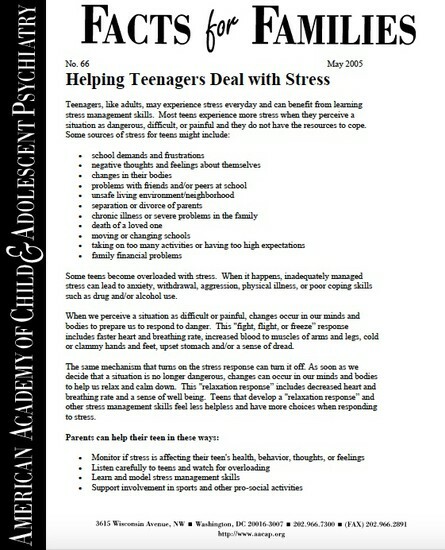 Below is a resource to help parents help their teens deal with stress. 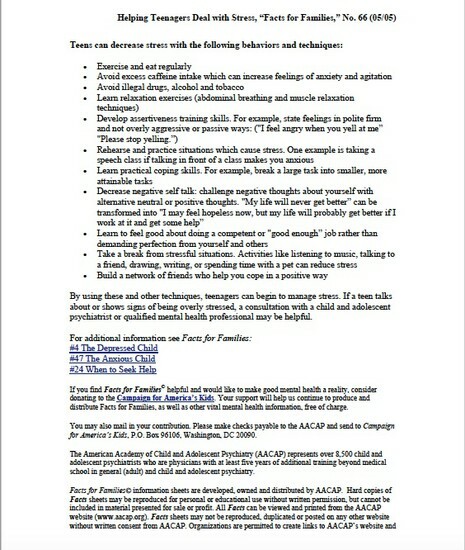 Please reach out to the counseling department if you are in need of additional resources on stress and anxiety. PLEASE ADVISE: SENSITIVE SUBJECT MATTER. "13 Reasons Why" is a Netflix television miniseries that has become a cultural phenomenon, especially amongst teens and young adults. In the miniseries, which is based on a young adult novel released a decade ago, high school student Hannah Baker leaves behind 13 tape recordings detailing why she took her own life. Her former classmates are left to piece together Hannah’s final weeks in a made-for-television mystery. In watching the series, young people and teens could interpret the message that suicide is a viable and/or romanticized option. The show’s content is extremely graphic, with disturbing scenes in each episode, which may be difficult for impressionable minds to watch and process in a healthy way. Please take a moment to find out if your child has read the book or viewed the series. If so, please use the show as an opportunity to talk about some of its complicated issues and open the door to create a safe atmosphere for your child to discuss his or her feelings and emotions. The MA Counseling Team is here to support your student social-emotionally as they navigate myriad mental health related challenges. Please let us know if we can be of additional support at any time. There are no visits currently scheduled at Minnehaha in the month of May. Visits are subject to change. Other visits may be added. Check your Naviance homepage often for an updated list of visits. "To love unconditionally, we obey God’s command to put on love or respect despite the circumstances."